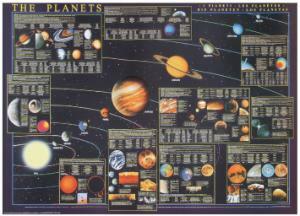 Multiple insets of each planet’s composition, geology, atmosphere, and more complement the larger image of each planet’s relative position from the Sun. 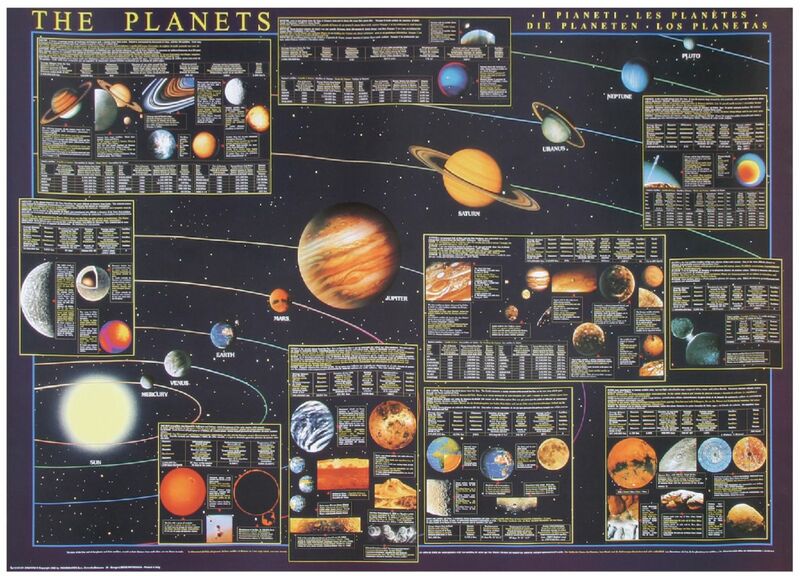 A wealth of data and information is revealed in tables, text, and colorful images. Size: 38 1/2" x 26 3/4".